When working with Turnbull, you can be assured that your project is a true restoration, and not simply a re-finish. The entirety of our experience is poured into each piece of your gun that we touch. To many, this is most visually apparent in our metal finishing. Specializing in the accurate re-creation of historical metal finishes on period firearms means minding every detail and knowing how those details change from make to make, decade to decade. 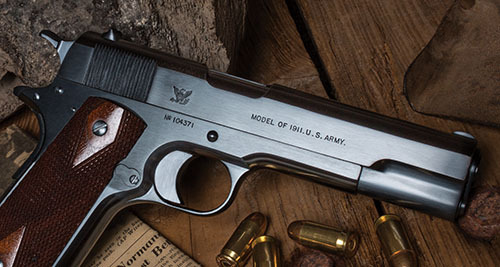 The combined metal finishing experience of our gunsmiths is immeasurable, so you can be sure that your metal restoration project will be done right. Color case hardening is one of the earliest ways of hardening steel. The process leaves a hard surface finish and a beautiful layer of colored carbon. While the process is very controlled and the results are predictable, the exact color combination and pattern is unique to each firearm. Capturing the proper shade and texture of original charcoal bluing (carbona bluing) finish depends largely on the underlying metal polish. The end result is a blue-black glossy finish that is hard-wearing. A charcoal blued high polished part will produce a mirror-like finish that is second to none. Rust bluing for barrels is a s process that only a few master gunsmiths practice. 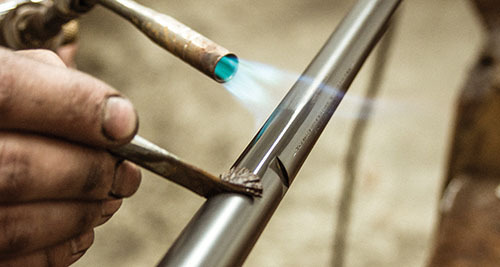 Although time-consuming, we consider rust bluing a very durable method of bluing that produces a softer blue-black finish worthy of the investment of time and effort. The nitre bluing process creates vibrant colors, but they are not always durable. This process works best on screws and pins because they are subject to wear and movement. 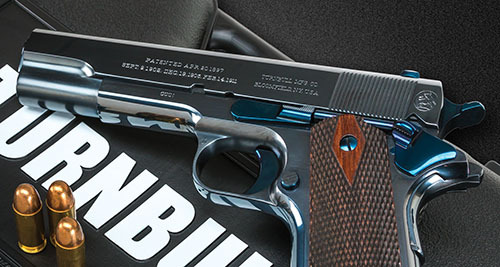 Our customers often ask us if their new firearms can be made to look old by applying our signature metal treatments. 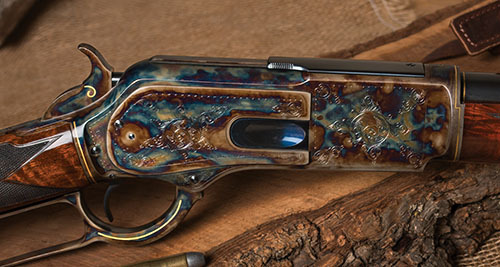 in many instances we can, for example the color case hardened late model Winchester 1873 below, and we’re happy to talk about your specific project and explore the possibilities. Head over to our Turnbull Finished Services page for all the details.